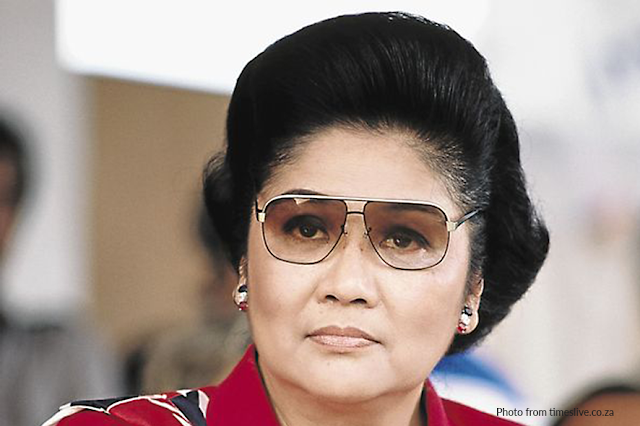 One of the most controversial female in Philippine history must certainly be the former first lady of the late President Ferdinand Marcos, Imelda Marcos who dubbed as an Iron Butterfly. One of beauty and grace yet also of strength and integrity. Common knowledge as it may be that Imelda is known to have a reported estimate of 3,000 pairs of shoes. A huge collection that shoe-enthusiasts dream of. Some of these can be found in the Shoe Museum of Marikina City. Imelda is also one for jewelry, she does not have simple pearls and “silverware” but rather intricate tiaras of pink diamonds and other luxuriously expensive items. It was reported in the alleged ill-gotten wealth of the Marcoses where multiple necklaces, bracelets, tiaras, rings and ear-rings amount to the millions each due to their rare nature, by the way, that was in millions of US Dollars. Imelda loves her bling, but like the common female stereotype, the former first lady also loves her to shop! She’d once spend $40,000 in Honolulu, Hawaii back in 1974 and close down other store in order for her to achieve her retail therapy. It was also scandalous when she once forgot to buy cheese in Rome, Italy and had ordered the pilot to turn around for her to buy some. If anything, she clearly has no budget in spending at all! A trophy wife, like legitimately speaking she has the curves of a trophy and the height to be one. Fashion designers would go nuts in order to make her dresses, for she has outstanding proportions and height that is way above Filipina average, 5’7 feet to be exact. She is known asa the “Iron Butterfly” due to the Filipiniana gown called terno, known for its butterfly sleeve that she wears even up to this day. When the Pope John Paul II visited the Philippines in 1981, Imelda Marcos herself spearheaded the creation of the Coconut Palace for the said papal visit. She also ordered the creation of Manila Film Center for the Manila International Film Festiveal and the Folk Art Theater for the 1974 Miss Universe Pageant. This was all due to her goal of making the Manila a world-class city after the American bombing of World War II. Mao Zedong, Fidel Castro, Saddam Hussein and Muammar Gaddafi were captivated by Imelda’s beauty, charm and wits. She was the enchanting eye candy of Ferdinand when he visits other countries. But this eye candy can work independently, a few instances that she visited other countries like Cuba where she herself represented her husband to the late leader Fidel Castro whom remarked that of the two women that he only drives, those were his mother and Imelda Marcos. What more can we say about a woman like Imelda is invited to almost everything. And fun fact, if she’s not, she will still appear. A gate crasher, professional by nature for she’s invited to herself into the Nixon Inauguration and the Sydney Opera House’s dedication. Truly professional and one to be respected by the party-crashing youth. The campaign color of Ferdinand Marcos was blue, the color her staff wears and so does the wives of the Ferdinand’s administration. They follow Imelda around and do assist her like she is some kind of Queen. Thus dubbing her the blue queen. This is probably not something short of what we already know. Having Imelda as a wife is a truly terrifyingly tall-order for she has the most extravagant, outrageous requests and demands. One being the fact that she asked the Philippine Air Force to seed clouds above Manila to prevent a typhoon from forming on the day of the 1974 Miss Universe Pageant! Another case would be her demands when it came to her outfits. At one instance 17 outfits were prepared, with matching accessories, shoes and bag yet she’d only pick one! She is truly hard to keep up with yet Imelda Marcos has always been a symbol of Filipina fashion, charisma, intelligence, confidence beauty and power.